About Us - SPEEDCOAT Europe Ltd.
SPEEDCOAT Europe Ltd. is the newly formed ‘sister’ company to SPEEDLINER® Europe Ltd. the most successful, longest established, non-franchise spray liner system available in the UK and Europe becoming one of the business’s within the European Polymer Products Group Ltd.
For many years SPEEDLINER® Europe Ltd. and many of their nationwide authorised and trained SPEEDLINER® Dealers / Application Centres have carried out successful and guaranteed repair spray coating applications to cracked and damaged shower trays in caravans, motorhomes, static caravan homes using the tried and tested SPEEDLINER EURO HC® anti-bacterial, anti-microbial spray polymer product. 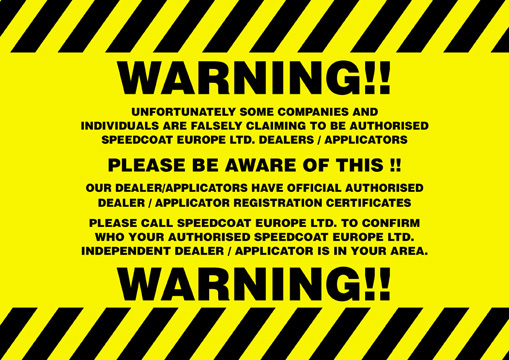 Some SPEEDCOAT Europe Ltd. Dealers / Application Centres are also able to carry out coating applications to leaking roofs, side sills, steps and towing caravan front panels utilising SPEEDLINER EURO HS® the standard tough and durable polymer spray liner product. Having received complimentary comments and exchanges from satisfied customers by letters, emails, phone calls and on various social media forums EPP Group Ltd. decided to actively research the marketplace that catered for caravan and motorhome owners. It was discovered that cracked and broken shower trays in caravans and motorhomes was an inherent problem. Every year there are more and more ‘pre-owned’ caravans and motorhomes sold and exchanged that often have a cracked shower tray that has not been repaired or replaced due to the high cost of replacement, or more often a replacement unit is no longer available or the labour involved tends to be cost prohibitive. An advertising campaign was embarked upon in some of the leading caravan and motorhome magazines starting with the January 2012 editions. The response received was overwhelming from private customers, service and repair trade professionals and many established caravan and motorhome dealerships all over the UK. 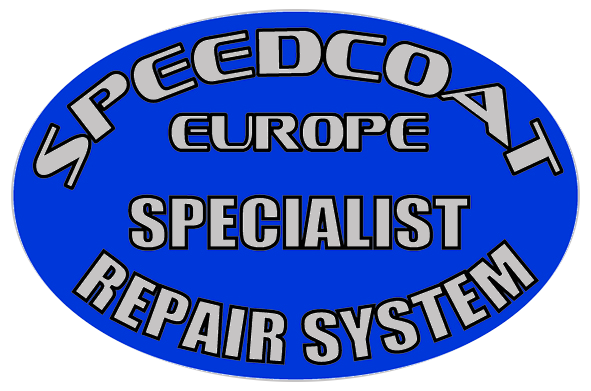 SPEEDCOAT Europe Ltd. was incorporated in February 2012 to be dedicated solely to the caravan and motorhome marketplace to offer the SPEEDCOAT Europe Ltd. specialist repair system* to provide a nationwide coverage for the aforementioned potential customers requiring a life long guaranteed repair and to be able to return the shower tray / bathroom to its essential useful service. SPEEDCOAT Europe Ltd. officially launched its service and products at the ‘MOTORHOME CARAVAN & CAMPING SHOW’ held at EXCEL LONDON from the 14th – 19th February 2012. A comprehensive SPEEDCOAT Europe Ltd. dealer package is available to trained applicators throughout the UK and Europe for those professionals and business’s who wish to offer this unique repair system to their customer and client base. SPEEDCOAT Europe Ltd. is a registered member of the National Caravan Council. *The SPEEDLINER EURO HC® and SPEEDLINER EURO HS® products used exclusively by SPEEDCOAT Europe Ltd. is only supplied to trained and authorised SPEEDCOAT Europe Ltd. Dealers / Applicators and is not available for DIY use. There are some coating products being offered to the 'DIY' market for the repair of cracked shower trays that should be considered with caution. With most products there is no specialised plastic primer made available but more importantly the coatings contain chemicals that should only be used by professional applicators. Copyright © 2015 SPEEDCOAT EUROPE.